An unnamed wealthy – very wealthy – Singaporean has made a purchase of a car he cannot even drive in his home country. But what is driving anyway, when the car is obviously meant for display, to be presented in front of other gawking and silently seething car enthusiasts. Mr. 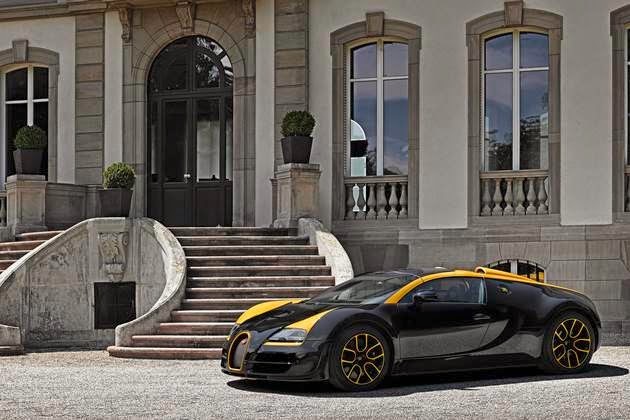 Wealthy, otherwise currently known only as PL, was presented with his custom-made expensive toy by Bugatti’s president himself reports Yahoo Singapore News. 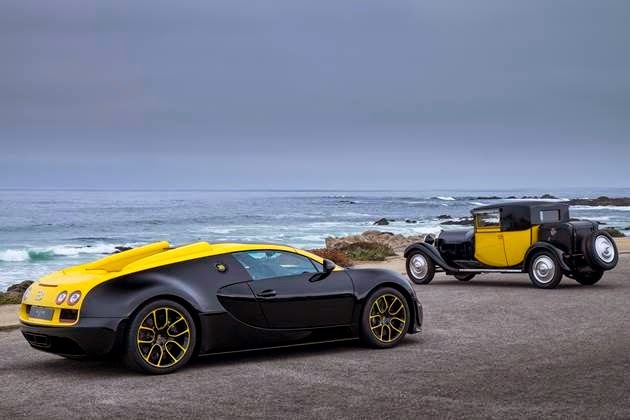 It was done at the Pebble Beach Concours d’Elegance show in California. Oh, if you readers are wondering where the name PL suddenly arise from, those are the initials laser cut into the grille design. 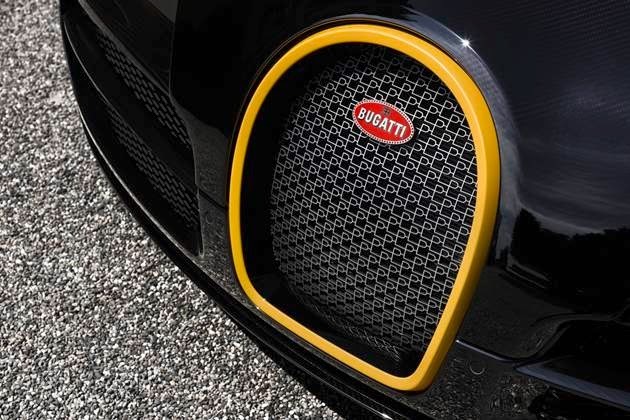 Of course that is not the only customized part of this Bugatti Veyron Grand Sport Vitesse ‘1 of 1’ special edition model, which PL has paid more than 3 million Singapore dollars for. 1. A huge Bugatti logo painted in black on the underside of the rear spoiler – the spoiler rises up once the car hit speeds of over 180km/h. 2. A sketch of the classic Bugatti Type 35 race car is customized into the lid of the centre storage box, which is located between the seats. 3. A unique paint-job that is reminiscent of the black and yellow “Yellow Top” cabs that used to frequent Singaporean roads. However, no matter how sweet PL’s ride is, he is still not allowed to cruise the island country’s highways with it. Singapore has a law against cars that are meant to be driven on the wrong side of the road (that will be the right lane at this Southeast Asian side of the world), so Mr.PL-super-wealthy’s new car is not allowed to be registered in the country. Again, who drives a toy anyway? Go put those wheels on display now.